Vote forFremantle, WATop Regional Destinations Which are Australia's must-visit destinations? You help us decide. More than just a mere offshoot of Perth, the historic port city of Fremantle is well worth a visit in its own right, with a strong maritime history and a number of distinctive local attractions - as well as some great opportunities for food and drink. There remains a strong colonial element to its architecture to this day, and as a result "Freo" can often feel a world away from its adjacent, modern capital, brother. Why it's special: A beautiful port city with a strong maritime history, stunning victorian architecture and picturesque waterfronts, Fremantle is the perfect blend of natural attractions and cityscape. Fremantle has received a helping of significant praise in recent years as a first port of call for many new visitors to Australia as a result of the booming cruise ship industry, with multitudes having come to appreciate the various forms of old-world charm that the city offers. It's a cityscape that, as with many port cities, reflects a mixture of cultures and influences melded into one; walk down the streets and you'll encounter British-style architecture that houses an array of quality Euro-Mediterranean-influenced cafes and dining establishments that have truly taken off in recent years. As one might expect, being founded as a maritime hub has resulted in a growing foreshore area that's quite entertaining to explore on foot, as the bustling water traffic and ever-present cry of seagulls - along with bracing sea air and some excellent sunrises and sunsets - lend an open, airy feel to its waterfront areas. This colonial, maritime history is documented in fine fashion at a number of excellent cultural attractions as well, with both its Prison and collection of museums standing as bastions of historic curation done well. Those looking to unwind can relax on the shores of the city's four main beaches, each of which are only a stone's throw away from places to grab some refreshment or a bite to eat, or perhaps indulge in some retail therapy at its numerous outlets and stores of varying sizes. It's also a highly walkable city, too, with the majority of its main attractions reasonably close together - and with its propensity for clear skies and pleasant weather, it's never a chore to explore the best of Freo on foot. The varied historic buildings of the city only further add to this charm, as the likes of Fremantle's Town Hall, St. Patrick's Basilica, and a walk down Cliff Street with its mixture of stone buildings all feel akin to stepping back into the past. As the Perth region's historic heart, those with an eye to culture would be mad to skip Freo on their WA itinerary. Looking to pay a visit to Fremantle but not sure what to do? Here are some of the most essential experiences. 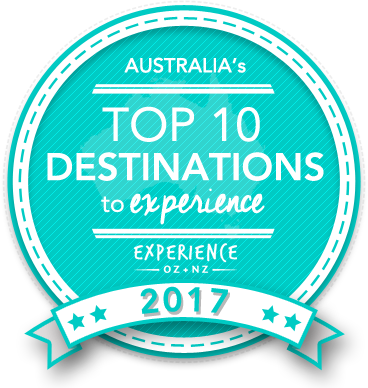 Is Fremantle Australia's Top Regional Destination to Experience for 2017? Vote now for the chance to WIN an epic trip to one of Australia's top destinations!